A good seafood joint is seasoned with soul. Here’s to discovering great food that has been ignored too often for not being beautiful enough. Voted “Best Restaurant” in Santa Cruz County for the past five years, Paradise Beach Grille is a cool beachfront eatery with views of the historic Venetian condos and the ocean. Their specialties are local and Hawaiian fish dishes infused with flavors from the Hawaiian Islands. Try the calamari here for sure. A fun beachfront joint with patio dining set beneath colorful umbrellas. Great fish and chips, calamari, live music and killer drinks, make for a great day at the beach. Set in the quaint little seaside town of Moss Landing, the Haute Enchilada first greets you with a soothing coastal garden and outside patio. Inside, the sassy latin colors and exciting art make a cool backdrop for the fresh drinks and their eclectic menu of sustainable seafood. Try their fresh blackberry margarita and the fried avocado burrito. 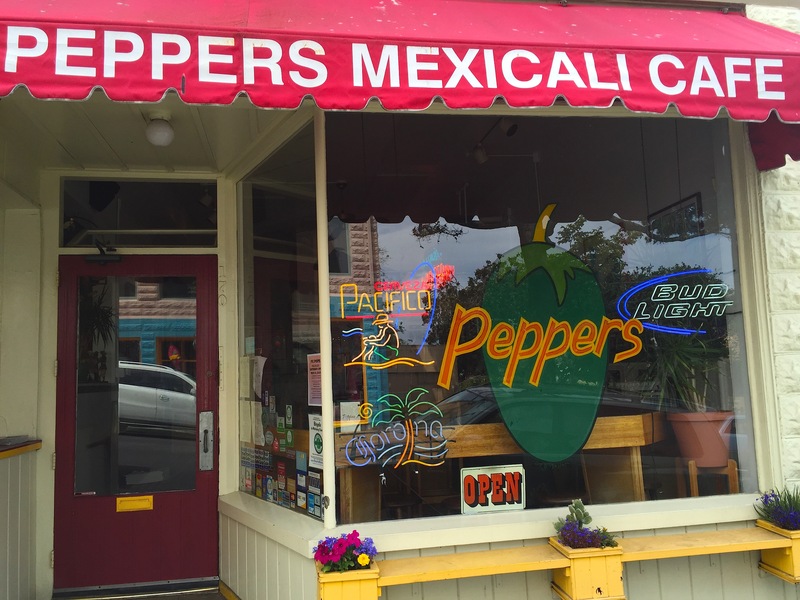 Tucked on a side street in Pacific Grove, sits a colorful Latin-American restaurant called Peppers. Their specialties are fresh seafood and margaritas, but what’s most memorable is the Southwestern Art splashed on the walls. Love the giant chili pepper suspended from the ceiling. It’s charming and perfect for a quick spicy food fix.